Water is the blueprint of life and is directly needed for proper health and survival. Sadly, many home water systems are blanketed by chlorine and other chemicals that can health issues for loved ones. Just take a look at what recently happened in Flint, Michigan – to get an idea of how contaminated some water systems can get. 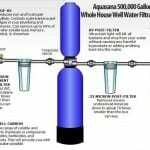 As an industry leader in water filter services, Whole House Water Filter offers a range of units that are designed to purify water for consumption and other uses. Not only do these innovative filters purify the water – but they also remove any contaminants and ensure clean and healthy h20 for loved ones, pets, and guests. If looking for the best water softening units on the market today -just access our site and access all the benefits. · Great tasting and long-lasting water for consumption and other uses. · Elimination of hard water, chlorine, and other contaminants found in public water systems and wells. · Easy installations – maintenance – upgrades – compliance with all water utility laws and guidelines. · Save time and money – no more expensive water purchases or monthly delivery plans. · Safe, clean, and healthy water for loved ones, pets, guests, and friends. Designed to combat well water contamination for safe, healthy, and great tasting water. Free of odors, bacteria, and contaminants. One of our more popular filtration systems – available up to 600,000 or 1,000,000 gallons. Lasts for 6 to 10 years and designed to secure great tasting and healthy water for years to come.